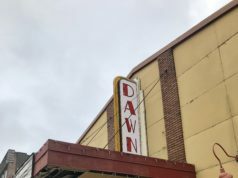 The City of Hillsdale Tax Increment Finance Authority is cur­rently accepting con­struction bids for the Dawn Theater Reha­bil­i­tation and Blight Elim­i­nation project. They have extended the deadline until Wednesday, Jan. 23 at 2 p.m.
“We’re just chomping at the bit now to get this project going,” Hillsdale’s TIFA con­sultant Mary Wolfram said. According to Wolfram, TIFA held a pre-bid walk­through for potential con­tractors to come and walk through the building and other sub­con­tractors have come back through the building for addi­tional tours. TIFA will be taking into con­sid­er­ation the price and quality of the con­tractor. “Typ­i­cally one looks for the low bid, but there’s due-dili­gence that you do to make sure that the con­tractor who is bidding is capable of doing the project,” Wolfram said. “There’s a real quality com­ponent that you look into the bidder’s qual­i­fi­ca­tions. Hillsdale’s Zoning Admin­is­trator Alan Beeker said he is expecting TIFA will receive four bids. 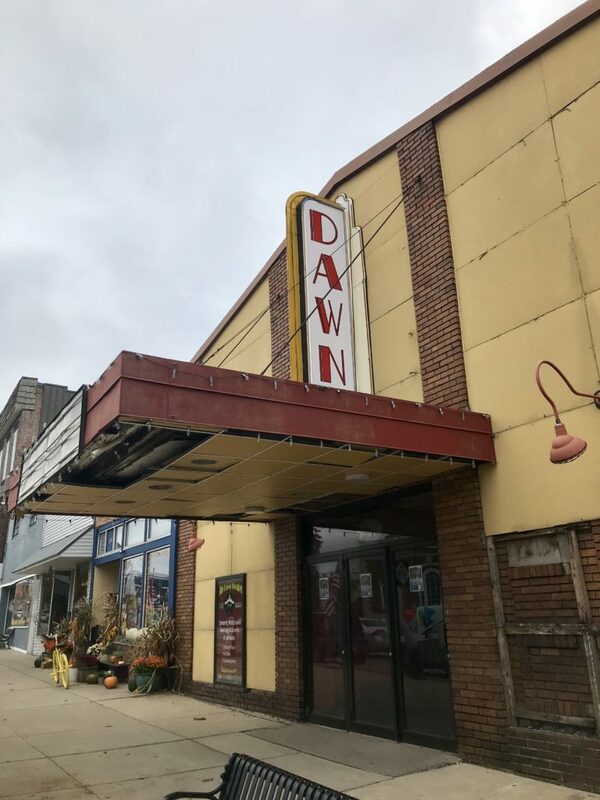 Wolfram said the Michigan Eco­nomic Devel­opment Cor­po­ration has given the City of Hillsdale a letter of interest offering a grant of $1.3 million in funds based on pre­lim­inary esti­mates of work to be com­pleted in the Dawn Theater. Both Wolfram and Beeker said they antic­ipate there will be value engi­neering involved in the project. In addition to TIFA, Wolfram said the archi­tecture team working on the project, Hard­lines Design Company out of Columbus, Ohio, will also review the bids to ensure the bids meet all of the nec­essary qual­i­fi­ca­tions and include a bid bond. According to Wolfram, a bid bond is a guar­antee from a bonding agency that guar­antees a contractor’s bid is good for a certain number of days. Although TIFA owns the Dawn Theater, C.L Real Estate out of Peru, Illinois is the project developer. Brant Cohen ’18, an asso­ciate for C.L. Real Estate LLC, said C.L Real Estate will also assist TIFA in reviewing and under­standing the bids. 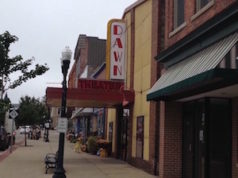 According to Wolfram, the Dawn theater first opened Sept. 5 1919. Wolfram said she is hoping the con­struction progress is far enough along by Sep­tember 2019 to hold a hard hat tour where com­munity members could walk through the par­tially ren­o­vated building. Cohen said C.L. Real Estate is excited to be moving toward the con­struction phase of the Dawn Theater project.